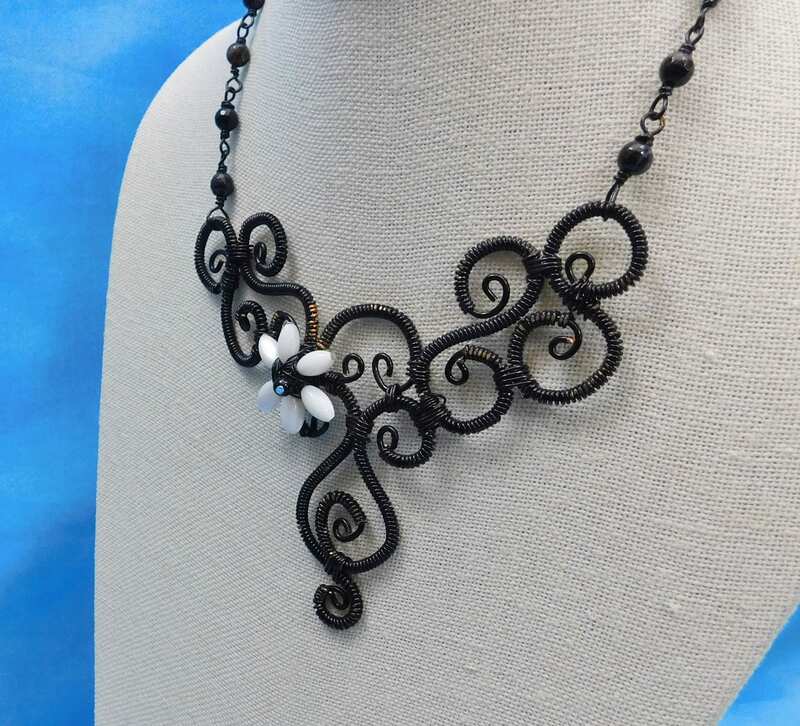 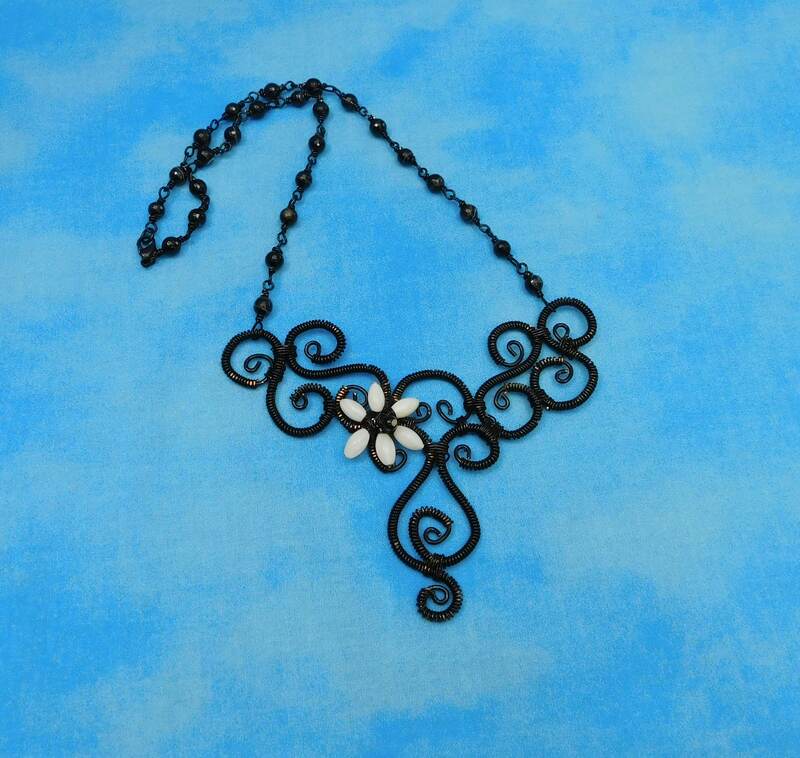 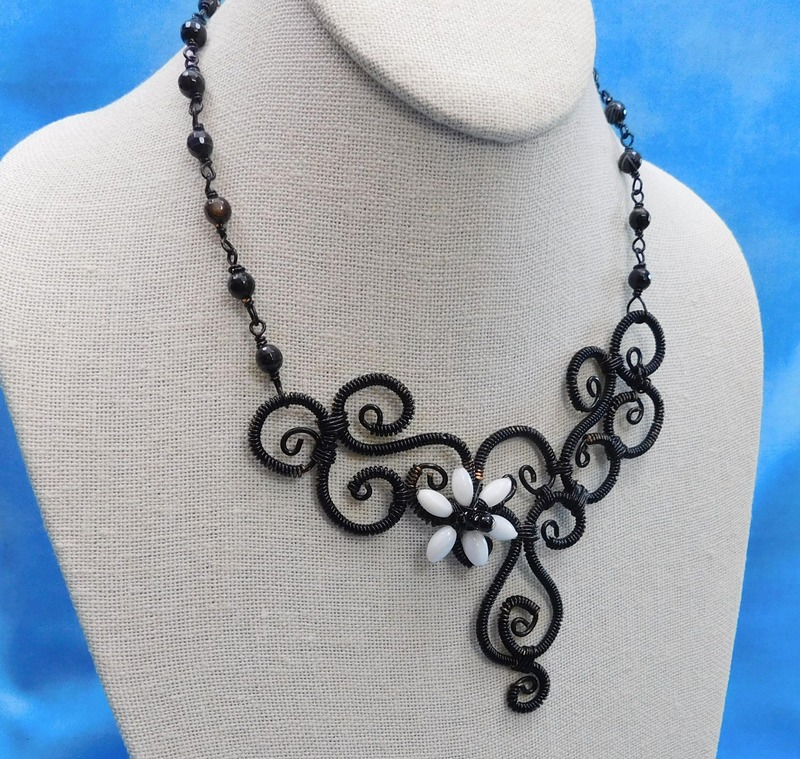 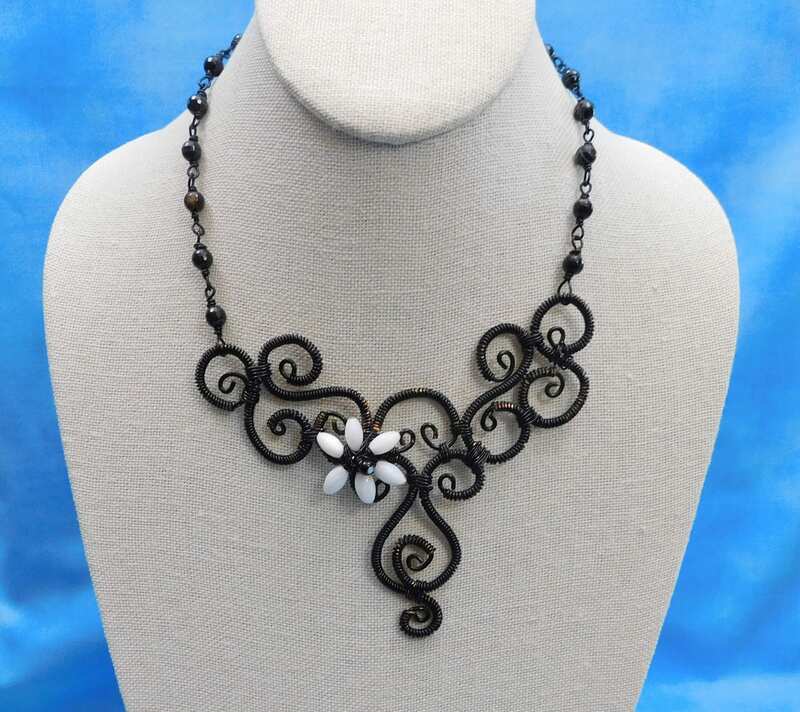 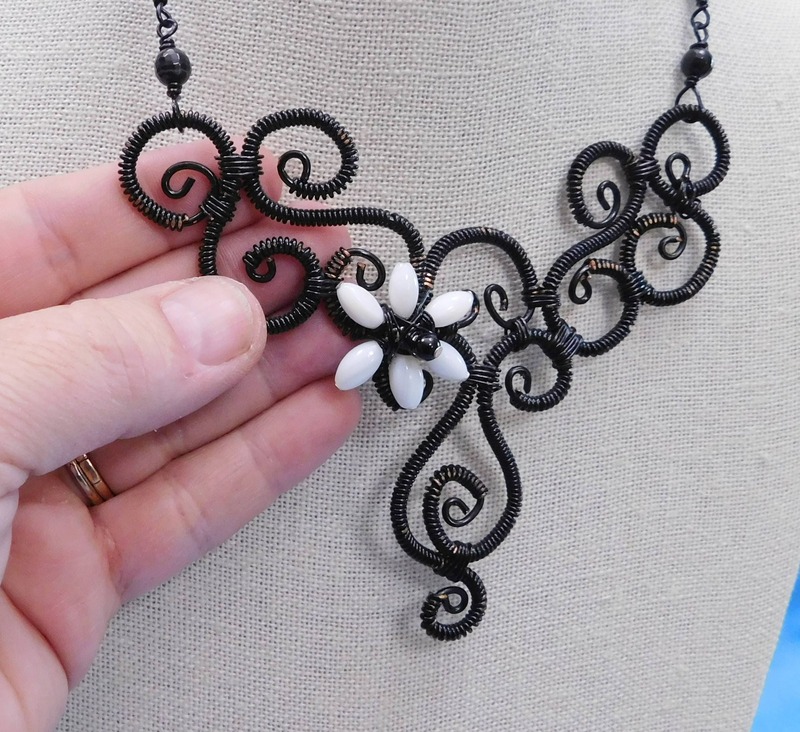 A very time intensive design, it took hours to hand wire wrap yards of wire and shape it into this scroll work bib style necklace. 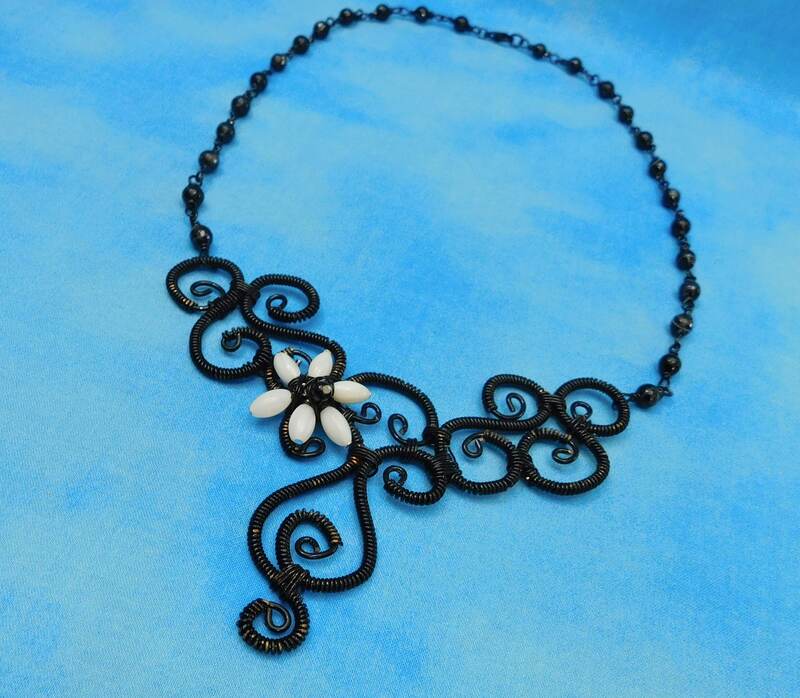 The finished bib measures 4 1/2 inches across and 3 1/2 inches long. 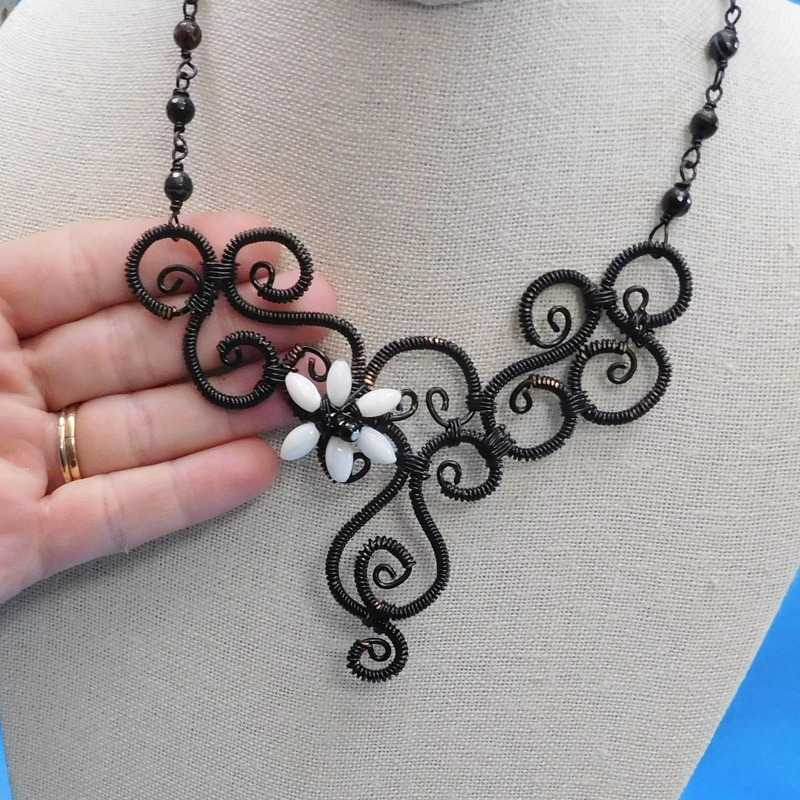 The hand wired mother of pearl beaded flower adds the perfect feminine accent. 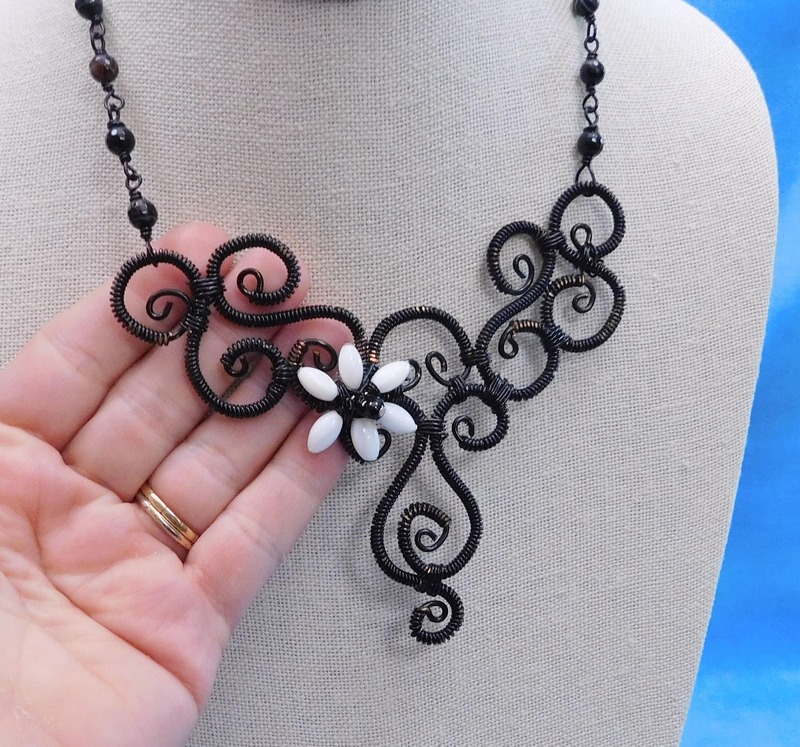 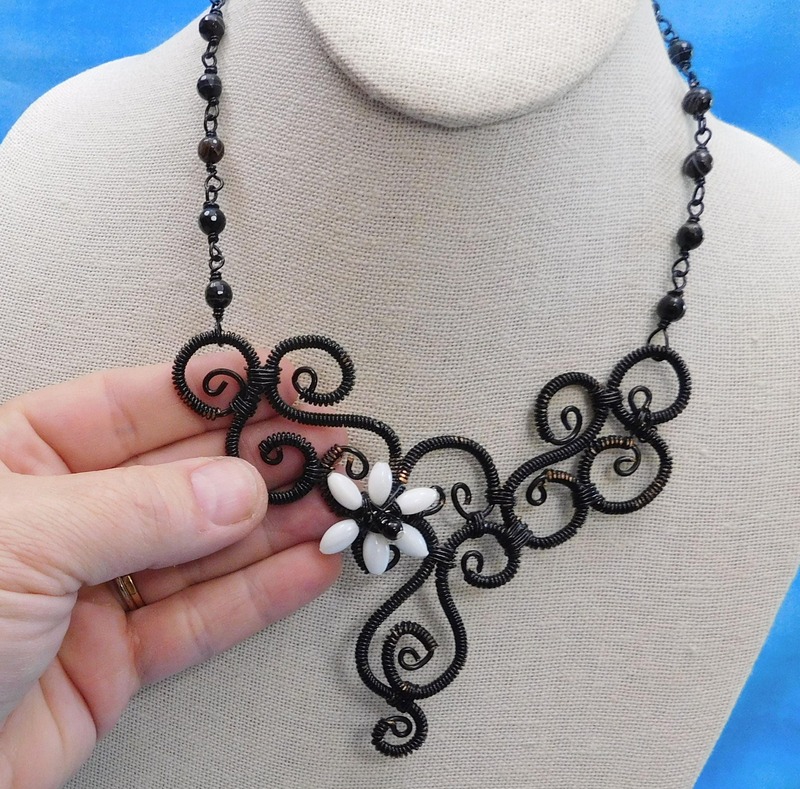 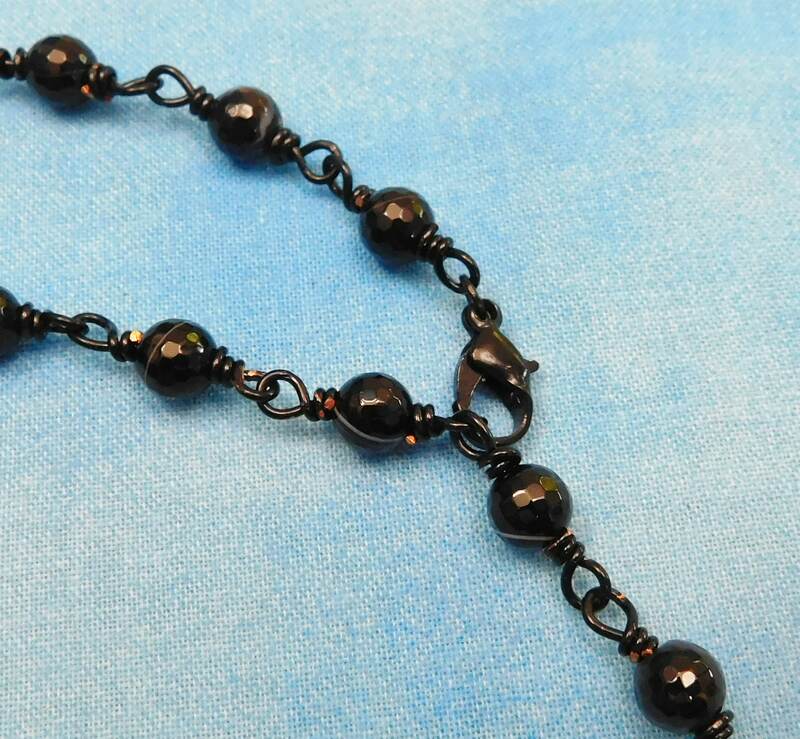 The bib hangs from 16 inches of individually wire wrapped links of banded black onyx beads.